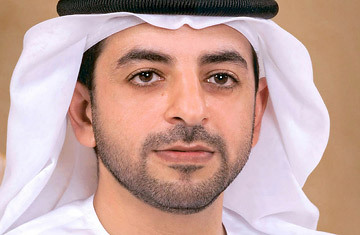 The body of Sheik Ahmed bin Zayed al-Nahayan, managing director of one of the world's largest sovereign wealth funds, was retrieved on Tuesday, fished out from a picturesque lake some 20 miles southeast of the Moroccan capital, Rabat, that his glider had crashed into five days before. The 41-year-old was the half-brother of Sheik Khalifa bin Zayed al-Nahayan, President of the United Arab Emirates and ruler of Abu Dhabi, the most influential  and with some 8% of the world's proven oil reserves  the wealthiest of the seven states that comprise the U.A.E. Sheik Ahmed was a senior member of the ruling al-Nahayan clan, and since 1997 was charged with overseeing the day-to-day runnings of the Abu Dhabi Investment Authority (ADIA). The fund has stakes in companies including Citigroup, the Hyatt Hotels and Britain's Gatwick airport. Engorged with Abu Dhabi's substantial oil surpluses, ADIA's assets are estimated at between $300 billion and $800 billion. It was Abu Dhabi's wealth that helped bail out sister city-state Dubai when it ran short of funds to complete the world's tallest building  which was then renamed the Burj Khalifa after the President of the U.A.E. Power and influence among the male heirs of the al-Nahayan clan is divided among several groups within the family; the President, Sheik Khalifa, who does not have any full brothers, and Crown Prince Sheik Mohammed, who along with his five full brothers from a common mother, Sheika Fatima bint Mubarak, form the most powerful bloc within the clan. The sons of Sheika Fatima (the late Sheik Zayed's third wife) control the defense, intelligence, national security and foreign affairs portfolios, as well as the chairmanship of Abu Dhabi's second largest sovereign wealth fund (the International Petroleum Investments Co., or IPIC) and Mubadala, the state investment company, among other things. As ADIA's managing director, Sheik Ahmed, who was the son of Sheika Mouza, another wife of Sheikh Zayed, held one of the few pillars of the oil-soaked emirate's economy not dominated by the powerful crown prince and his full brothers. Christopher M. Davidson, senior lecturer at Durham University and author of Abu Dhabi: Oil and Beyond, says that with Sheik Ahmed out of the picture, the crown prince and his brothers are likely to move on ADIA. "Then they will control virtually all of Abu Dhabi's economy," he says. But there are elements within the family that may oppose them, including the President, who may want to place one of his two sons in the role. Sheik Ahmed had four full brothers, and they are also likely to try and keep the position among themselves. His eldest full brother, Sheik Saif, wields significant influence as the powerful Interior Minister. Despite the tensions, the dynastic tussle is likely to be veiled. Issues of succession in conservative gulf kingdoms are customarily dealt with behind firmly closed doors, and Abu Dhabi  more traditional than its showy neighbor and U.A.E. constituent, Dubai  is hypersensitive about its image and extremely unlikely to let any split within its royal family become public. ADIA's holdings are unlikely to be affected, primarily because Abu Dhabi's wealth is still Abu Dhabi's wealth regardless of who manages its sovereign fund, and because its investments rarely exceed 5% stakes in any given company. But whoever assumes the helm of ADIA will be of keen interest to Dubai, according to Davidson. Apart from the troubles with the Burj Khalifa, debt-laden Dubai received a $10 billion bailout late last year from Abu Dhabi to pay off the debts of some of its most troubled state-run companies. "Dubai will be hoping that whoever replaces [Sheik Ahmed] will be someone who is more open to assisting Dubai, rather than this drip-feed of financial assistance Abu Dhabi has been giving Dubai, little by little, humiliating them every step of the way," Davidson says. Sheik Ahmed was widely considered to be among "the most conservative members of the ruling family, extremely cautious in nature," Davidson adds. Dubai's ruler, Sheik Mohammed bin Rashid al-Maktoum, might be pinning his hopes on his son-in-law Sheik Mansour, who is one of the Abu Dhabi crown prince's full brothers. Davidson says "there's no doubt" that he's the one member of the al-Nahayan clan that Dubai would like to see take charge. But Sheik Mansour already controls IPIC. Will he be given the reins of both of the emirate's massive kitties? It's improbable but not impossible, especially in a country where too much is never enough.